I really ought to buy more used books. 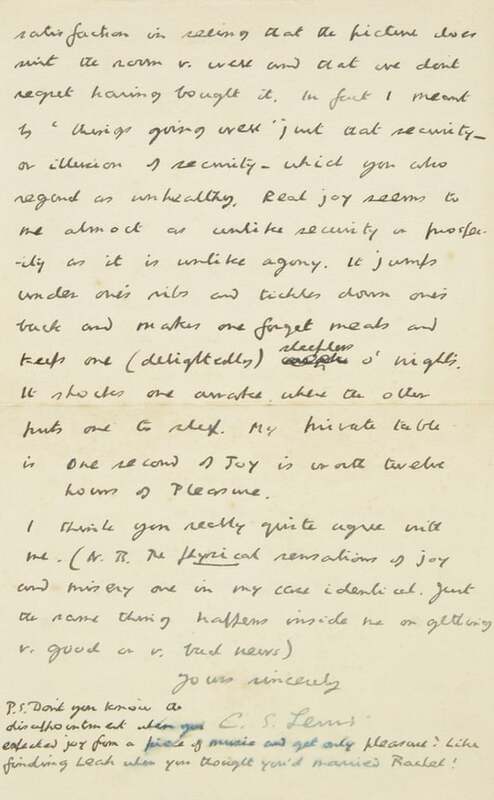 One very lucky person found a letter written by C.S. Lewis in such a book. Can you imagine it? This letter is now up for auction and you can read about it at The Guardian. Perhaps I am a silly, frivolous sort of person but I can't help but wonder what ink he used. Notice the smudges of a different color at the bottom of the page. Whatever the ink might be I think I would hold on to such a find rather than sell it at auction. What a treasure! Yes, you do have to wonder! The only scenario fathomable to my imagination is that when Mrs. Ellis died at a ripe old age her books were sent off to the charity shop treasure and all.